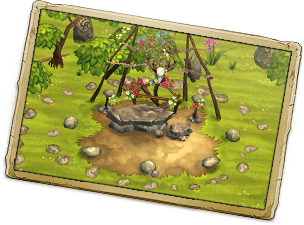 Stonies - Stone Age Game - Build your own Stone Age Village! They need your help. Support the Stonies. That's the name of your Stone Age tribe. In the gripping browser game Stonies, you'll be whisked back to the earliest era of human history. 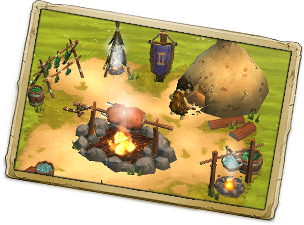 Supply your tribe with food, teach them to make fire, hunt, and craft weapons. Stonies will take you back to the origins of mankind, when life was dangerous and full of unforeseen circumstances. Prove your skill and lead your men, women and children through various eras of human history. Accelerate the advancement of your little civilization. Secure the future of your kin. Hone their skills and prove your own skill as a leader and benevolent deity. The entertaining Stone Age game offers you countless customization opportunities, exquisite 3D cartoon graphics and exciting tasks and missions that you and your Stonies can master together. Play now! Now you can travel back in time to the beginnings of human history. A Stone Age game like no other, Stonies makes you a deity leading a tribe. Benevolently, you'll teach the men and women important survival skills such as making fire, crafting tools and weapons, and hunting. Lead your tribe through the ages, allow them to discover religion for themselves, have them collect berries and mushrooms, create storage and keep them from letting food go to waste. Stonies offers fascinating game play, intuitive game controls that will let you dive right into the Stone Age game, and a maximum of prehistoric fun! As an app, Stonies captivated gamers everywhere – now players can enjoy this one-of-a-kind simulation at home in their browsers too. Explore the untouched wilderness, face dangers and meet challenges, and let your tribe thrive. Bring men and women together to get cute Stonie offspring in the Stone Age game. Majestic reindeer, agile rabbits and fearsome wild boars – in the Stone Age game Stonies, your tribe will go on the hunt for all these animals and more. Teach them to make tools and weapons. Different weapons can be used to hunt animals. Use sinews from slain animals to make new tools, increase your Stonies' knowledge and lead them through various eras. Discover the multitude of features and strategies of this extraordinary Stone Age game. Build religious sites, encourage the construction of huts, and make your tribe grow by playing matchmaker for Stonies and getting cute little babies. Discover the lovingly-detailed comic style graphics. Regular updates ensure new content and long-lasting fun. Accompany your Stonies in the most exciting era of human history and watch your civilization develop. The Stone Age adventure begins! Let's go! The more you teach them, the more skills your Stonies will develop. Dive into one of the most fascinating points in the history of mankind and become a benevolent deity to your own tribe in this extraordinary Stone Age game. Teach the men and women of your tribe important life skills. Send them out to collect mushrooms and berries and hunt wild animals for food. Teach them to make fire, and how to craft tools and weapons such as carving stones, spears and fishing rods. 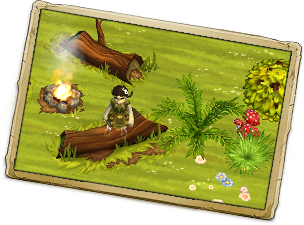 Encourage construction efforts and help build huts, while playing matchmaker to your Stonies so that the couples can live in them. The littlest Stonies will grow up and contribute to the day-to-day life in the tribe. Stonies providers thrilling Stone Age fun in the comfort of your browser. Register for free at en.upjers.com and get started now! You've always wanted to explore the Stone Age? Comb through wilderness as a hunter and gatherer? Experience exciting adventures, solve entertaining tasks, catch fish, make tools, and face real challenges together with your kin? Then you're in luck! All you need is a computer with internet access and you're ready to enjoy Stonies! 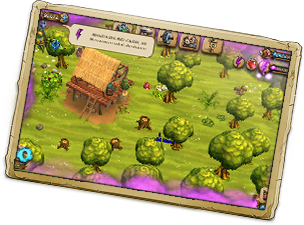 Full of fun and excitement, the popular Stone Age game is now available as a browser game. Become a respected leader in your tribe. Teach your men and women to make fire, craft weapons and work on their skills. Let yourself be whisked away on a wonderful journey through time and discover the colorful world of the Stonies. With just a few clicks, you'll find yourself in the earliest era of human history. Give it a try and join the fun! Your Stonies are waiting for you. Use your hunting instincts! To secure the survival of your Stone Age tribe, you sneak up on a group of rabbits. Skillfully, you toss your spear and take down one of the animals. Back at home in the settlement, your prey will be cooked into a delicious meal for your kin. 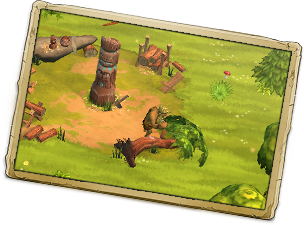 Hunting is only one of the countless features you'll make use of over the course of the unique Stone Age game Stonies. Presented in a cute and lovingly-detailed cartoon style, Stonies sets itself apart with intuitive controls and gameplay that guarantees long-lasting fun. Explore the Stone Age game at en.upjers.com.